After you view real estate listings online, it's time to get down to business and see some of the homes that peak your interest in person. But before you meet with a real estate professional, it is best to get pre-approved for a mortgage. A mortgage, by definition, is the loan you will need to borrow from a mortgage lender to purchase a home. It's important to note that a monthly mortgage payment is more than just repayment of the loan with interest. In that monthly payment, there are also property taxes, insurance on the property, and PMI (private mortgage insurance), which is required by loan institutions if you are borrowing more than 80% of the home's value. In other words, your down payment is less than 20% of the home, than you would need to purchase PMI.) For the purpose of figuring out how much they can loan you, financial institutions will estimate the cost of these extras and factor that in to the equation of how much you are allowed to borrow. 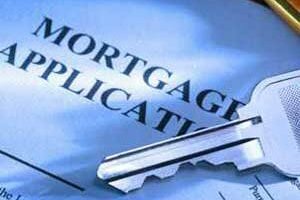 Pre-approval is a very detailed and thorough financial process completed with your bank or mortgage lender. It will provide you a letter that states that the loan brokerage or bank has reviewed your finances and are willing to loan you a specific amount of money to buy a house, once you find one. In order to start the process, you'll need to do a little research or get recommendations and find your mortgage lender or broker. Look at their lending rates and do an interview over the phone to help you decide which one seems on top of their business and will work to make everything come together smoothly and on time for your home purchase. Fixed-rate mortgages have the same interest rate (the percentage of added cost for being able to borrow the money) for the entire span of the loan. Adjustable rate mortgages (ARMs) mean your interest rate may change throughout the life of the loan. In a conventional mortgage, a private lender assumes the risk of losing its money if you default on your loan. FHA loans: These loans work well for first-time home buyers and are an option to anyone who qualifies. They typically provide competitive rates, less-stringent credit requirements and lower down payments than other types of loans. VA loans: Available to eligible veterans and their spouses only, these loans offer low down payments and lower interest rates. With a pre-approval in hand, your real estate agent can come up with a list of properties in the general price range of homes for sale that you should be looking at. You're ready to house hunt!